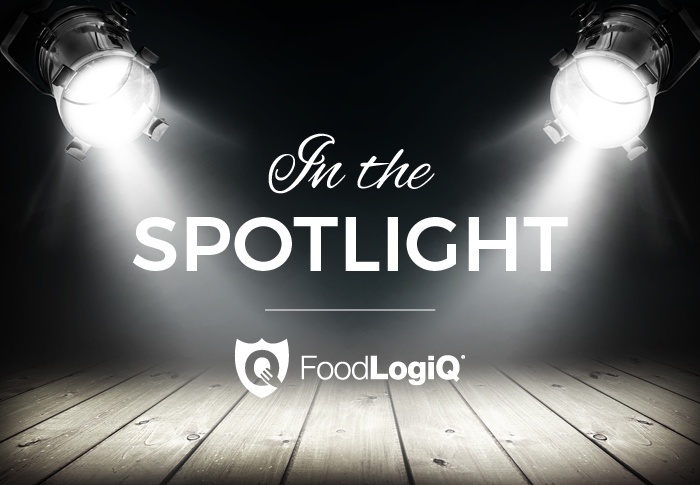 Welcome to “In the Spotlight,” our blog series that introduces you to the many different FoodLogiQ team members who play an important role in our company’s success. 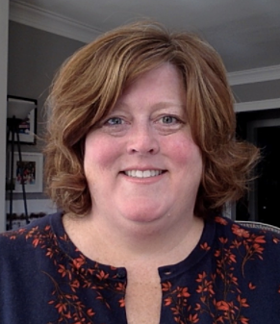 Today’s spotlight is on Julie McGill, Director of Implementation and Strategic Account Management. When it comes to identifying and solving business challenges around sustainability, food safety and traceability, nobody does it better than Julie. She also happens to have an awesome singing voice, and we dig listening to her jazz tunes. Q: Julie, tell us how you became involved in food safety and traceability. Where has your career path taken you? A. My supply journey started at Coors Brewing Company in Golden, Colorado. I worked on the Store Level Data program back in 1995, which automated the gathering of sales information across their entire distributor network. From there, my boss made a decision that would change the direction of my career. Retailers were asking distributors to use EDI (electronic data interchange) to share transactional data. He pitched an idea to me, asking if I'd like to be a part of that team. I told him I didn't know anything about EDI, and he said, "I can send you to training and teach you how to implement EDI. What I can't replace is the relationships you've built with our distributors." The rest is history. What people may not realize is that back in the late ‘90’s this was a huge shift in the industry. Folks were still using paper ledgers and fax machines to run their businesses. Many didn’t even have email, so this was a major change. In 2000, I took a chance and moved to Chicago to work for a new technology company. Transora was a consumer packaged goods B2B electronic marketplace that included solutions for transportation management, on-line promotions, CPFR (collaboration, planning forecasting and replenishment), and a data catalog. Transora’s members included Sara Lee, Kraft Foods Inc., The Coca-Cola Company, PepsiCo, Reckitt, Tyson, Unilever and many other industry giants. I knew that if this company was even remotely successful, we had an opportunity to change the world’s supply chain. In my role, working on the Data Catalogue team, we helped global partners implement our solution to standardize their data, and streamline the process of sharing product information with their supply chain partners. In 2004, the Global Data Synchronization Network (GDSN) was formed, and because I was on the Data Catalogue team, I was part of the team that implemented this new standard, trained users on the messaging, choreography and systems integration. This was a huge endeavor, and in 2005, Transora’s Data Catalogue solution was acquired by GS1 US. We were now merging with our biggest competitor, UCCnet (owned by GS1 US) to form 1SYNC. This legacy continues today, as 1SYNC eventually merged with SA2 to become 1WorldSync. In 2009, I moved over to the standards side of the business. 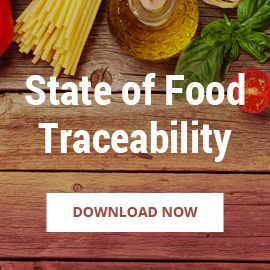 Here, I led the Foodservice GS1 US Standards Initiative, working with companies to solve three key business issues: 1) increase efficiencies, 2) enhance food safety and traceability, and 3) improve product information. 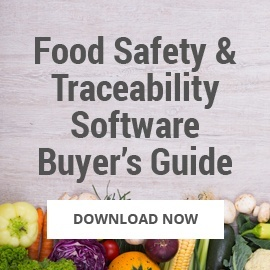 To do this, the industry would need to adopt GS1 standards, including the assignment of GTINs to products, sharing data through the GDSN, using barcodes (preferably GS1-128), and eventually sharing traceability data. 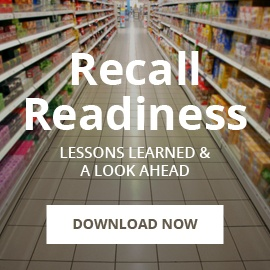 The grocery industry had been using these standards for over 40 years, and foodservice had some catching up to do. Educating the industry, working with stakeholders from across the supply chain, and moderating work groups was all part of the role. We set goals and objectives for industry adoption, and measured our progress. We also worked closely with associations and industry groups, such as the Produce Traceability Initiative (PTI), meat and poultry (mpXML), and the National Fisheries Institute (NFI), to ensure alignment and help solve business problems. Q: Wow, that’s a long and winding road! So how did you end up at FoodLogiQ? A. When the opportunity presented itself for me to join FoodLogiQ, I was thrilled. Working for a solution provider that has been the leader in traceability solutions for the food industry was a great fit. This is an extension of the work that I’d been doing at GS1 US - I’m now implementing the standards that I helped to create. I’ve worked with a number of companies, onboarding their internal teams and external partners. 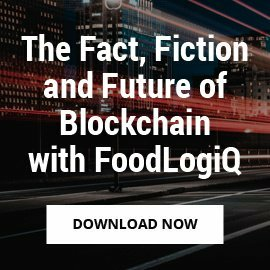 From farmers, suppliers, third party warehouses, packing sheds, and re-distributors, to distributors, operators, and grocery retailers - FoodLogiQ is on the front lines, working with all supply chain partners. 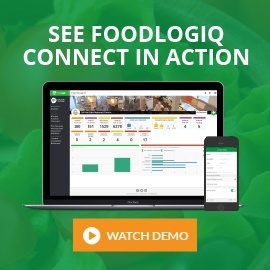 It is so rewarding to see the standards come to life in the FoodLogiQ Connect platform. Now I’m seeing what it really takes to have a world class traceability program in place. This requires participation from all stakeholders, monitoring of progress (and exceptions), as well as a commitment from leadership. Everyone agrees that this is the “right” thing to do; however, executing on it takes education, processes, and adherence to your program. Looking ahead, I’m participating on several working groups that are exploring the use of blockchain and other technologies for the food industry - the GS1 US Blockchain Discussion Group, PMA Blockchain Task Force, the Global Dialogue for Seafood Traceability, and the FoodLogiQ Blockchain Consortium. It’s an exciting time in the food industry, and we will continue to embrace the challenges of today and the promise of the future! A. My “why” is very personal. My nephew contracted E.coli from tainted beef when he was just two years old. He spent several months in the NICU at University of Nebraska, and there were many times we thought we were going to lose him. It was the most heartbreaking thing I’ve ever been through. This changed the course of his life. All through grade school and high school he didn’t have the energy of the other kids. He faced many challenges. As a teenager, his kidneys were failing. We always knew a transplant was in the cards, and now it was imminent. We all lined up to be tested, but in the end, my sister (his mother) was the best match. In college, his life was derailed yet again as he needed a pancreas transplant. After several false starts, he finally got a match and was back at the Mayo Clinic for yet another surgery. I cannot express how seriously I take my work. I know what it’s like to be the family member at a child’s bedside. 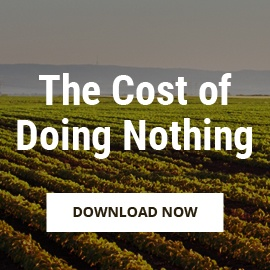 I understand the heartache and the pain, the life-changing results that come from tainted food entering our supply chain. If I can do anything to prevent an offending product from getting to a consumer - identifying what’s out there, and helping to remove it before one more person gets sick - then I’ve done my job. That’s my “why.” That’s the reason I’m at FoodLogiQ. 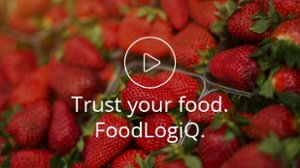 Watch how FoodLogiQ is mapping the world's food supply chain and empowering people to make informed decisions about the food they eat.